In her debut recital for Reference Recordings, organist Jan Kraybill takes on a new instrument, the Julia Irene Kaufmann Organ at the Kaufmann Performing Arts in Kansas City, Missouri. Ms. Kaufmann is Principal Organist for the Dome and Spire Organ Foundation and Organ Conservator at the Kaufmann Center for the Performing Arts. With such credentials, her recitals would be highly anticipated events and this HRx hi-res disc proves to be no exception. This is organ playing at its finest and Ms. Kraybill is blessed with a most wonderful instrument. The French school of organ composition is well represented by some of its finest exponents, a number of whom were organists themselves. Of note, the organ in these performances, the Casavant Freres Opus 3875 would have been the ideal instrument for these works and is well exploited in this recital. The Keith Johnson recording team takes advantage of the Kaufmann Center for the Performing Arts’ Helzberg Hall for this production. The sonorities of this venue are ideal for organ recordings and we are immersed in the sonic waves of this magnificent specimen. It is unlikely, indeed, that the composers themselves heard their works as well represented as what we get here, harmonics, overtones, and all. 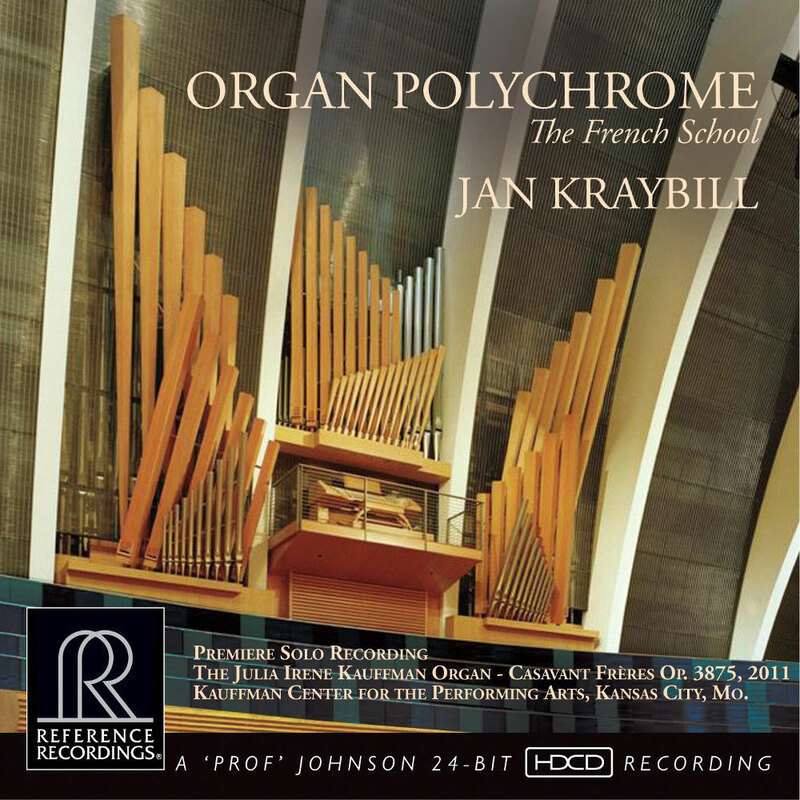 From top to bottom, Ms. Kraybill’s performance gets the “star” treatment and this is one recording that is quite faithful to this organ’s sonorities. Organist Kraybill contributes some insightful notes on each composer and selection. The program booklet also details recording and production credits for this disc. I cannot think of a better way to introduce listeners to what was surely the golden age of French music for the organ. Perhaps not since Johann Sebastian Bach, has this “king of instruments” been better served by one nation and its composers than has France and its illustrious composers who wrote marvelous pieces for the organ. Of course, it takes an extraordinary artist to get this point across, and I am happy to report that Reference Recordings has surely identified such a performer. Coupled with the expected excellent RR sonics, Organ Polychrome I would recommend this disc for not only lovers of organ music but of great music, period.